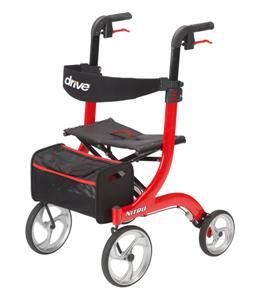 Drive Medical is proud to introduce their brand new Nitro Rollator that is unique to the medical industry. Please take a look at all the different benefits. You have 15 days to try it for a full refund. Please give this new rollator a chance. 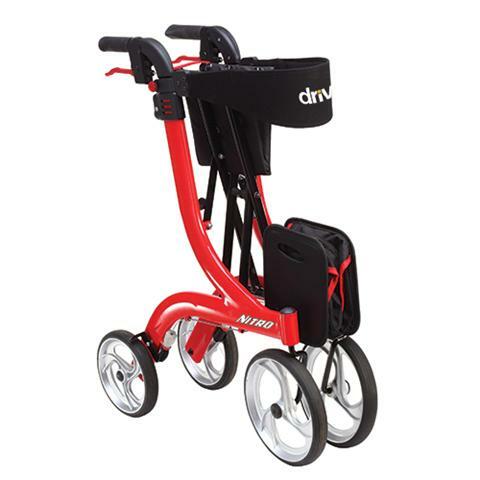 Large 10" fron casters for easy maneuverability and indoor or outdoor use. Clamp (included) holds the Nitro closed when frame is folded. Comes with removable carry pouch. Unique attachment is secure when rollator is open or folded. Comes in a retail box.